which have been formally combined since 1773. Today there are regular services (please see below) and special festivals and events. Local people, and of course visitors, are most welcome. It is thought these were both ‘pilgrim churches’ years ago. These days, there’s a walk using public rights of way between the two churches. Details are in the porches of both churches. At St Leonard, Badlesmere: Second Sunday of the month: 9.30 am Book of Common Prayer Communion, (said); Fourth Sunday of the month: 6.30pm Book of Common Prayer Evensong (sung) and shortened Communion. A small meditation/contemplative prayer groups meets on the third Friday of each month at 2.00pm at Badlesmere church. For variations to this regular pattern, please see church notices and the Benefice Parish Magazine for Selling, Sheldwich, Badlesmere and Leaveland which is published monthly and delivered to residents for £6.00 a year, for your copy please contact Lyn Collins as above. At Leaveland the services follow the modern Common Worship pattern. Its churchyard has twice won awards from the Kent God’s Acre project and Kent Wildlife Trust (2011 and 2014). Leaveland has made particular efforts over the years to involve children . ‘Messy Church’ (Arts and Crafts, fun and food, worship) takes place at Sheldwich Village Hall on second Saturdays of the month 3.30-5.30. Badlesmere church is widely known for its untouched 18th Century interior (box pews and lofty pulpit) and for the peace that can be found there. The regular services use the Book of Common Prayer. The church is packed full every year for its candlelit Christmas Eve Carol Service. 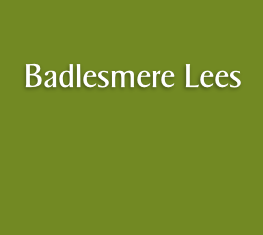 The churches aim to involve the community of Badlesmere and Leaveland on many occasions each year. We hold flower festivals, chilli festivals, occasional concerts, lunches, and outdoor activities such as spiritual walks and churchyard working parties. We also invite speakers to support our God’s Acre project eg on lichens, on bats, on birds etc. Inevitably with two churches for a total village population of just over 200, we welcome one off donations and regular giving for the upkeep of the churches and to pay our way for ministry and our dues to the Canterbury Diocese but we also put on community activities for which we do not ask for any money.